Below is analysis from GTM Research report author Andrew Gabor. 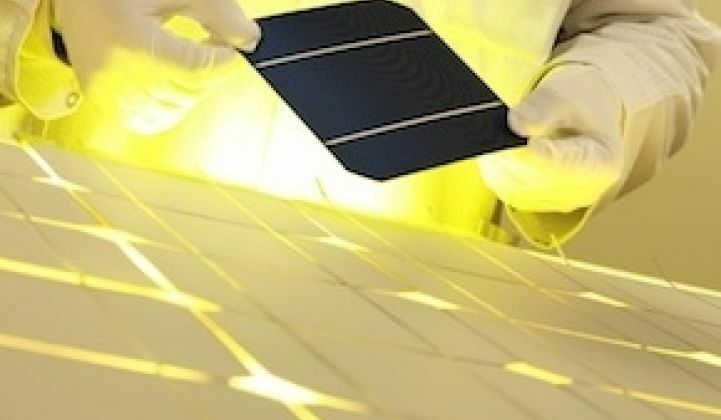 For more information on the kerfless wafer market, see Innovations in Crystalline Silicon PV 2013: Markets, Strategies and Leaders in Nine Technology Areas. Two kerfless wafer companies have bowed out of the industry in the last few weeks. Twin Creeks shut down operations and sold its intellectual property and other parts to GT Advanced Technologies -- for non-PV applications. Silicon-film-on-metal-foil company Ampulse shut down, finding no apparent interest in its National Labs-developed technology. Kerfless solar silicon firms look to eliminate a costly part of the solar silicon wafering process. But, the wasted silicon saw dust (kerf) in the conventional ingot wafering step is much less expensive than it was just a few years ago. Is there still promise in “kerfless silicon,” now that the price of polysilicon feedstock has plummeted? Not if you sacrifice efficiency or increase processing costs. None of the mentioned companies ever came within one percent absolute of the efficiencies of standard multi-crystalline cells. What of the surviving firms? Here's a quick look at the remaining domestic kerfless players. Solexel is exfoliating an epitaxially grown layer (gas-to-silicon) from a donor wafer. There are cost savings to be had here, but what sets Solexel apart from the competition is the success it has had with innovations at the cell and module level as well. The company is unique in the kerfless field by virtue of having demonstrated 20 percent cell average efficiencies with champion results as high as 20.6 percent. The firm's 156mm back-contacted, silver-free cells are larger than Sunpower’s (a Solexel investor) and have lower processing costs as well. Solexel's cells are attached to a flexible carrier. While the firm's success at low volume is impressive, it will need to demonstrate robust reuse of the monocrystalline substrates in mass production (greater than 30 reuses) and this is likely tricky business. Also promising is 1366 Technologies with its Direct Wafer approach. These wafers, grown directly from molten silicon, look remarkably like standard square multicrystalline wafers, albeit with smaller grains. Small-grained wafers with lower dislocation density likely represent the direction for the multicrystalline industry in 2013 anyway -- while quasi-mono technology appears to have been ungraciously dumped. Direct Wafers also have much more consistent quality than multi wafers, and the resulting cells have an extremely narrow efficiency distribution. 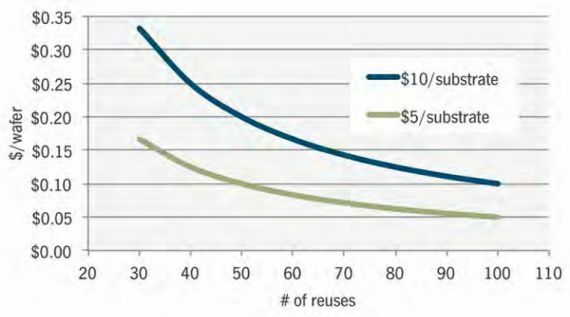 The efficiency tail (yield loss, these days) of a standard multi cell line is largely due to low-quality wafers, so there is considerable value in this tighter distribution. Cell efficiencies in customer trials using standard processing are now above 16.5 percent. In only a few years of development, Direct Wafer technology has surpassed String Ribbon performance. 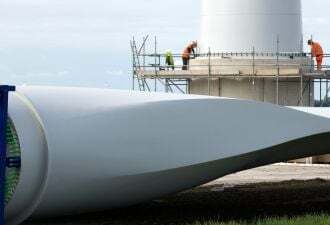 The potential savings in polysilicon feedstock has dropped to less than $0.20 per wafer as feedstock prices have plummeted to $20 per kilogram. However, Direct Wafers still enjoy considerable cost savings for avoiding the ingot and wafering steps, with projected total savings of more than $0.45 per wafer even at $20 per kilogram feedstock prices. Scaling begins in 2013. Crystal Solar has a similar epitaxy approach to that of Solexel, but uses a less advanced cell structure using p-type wafers supported by a coverglass carrier. With champion efficiencies at 16 percent, Crystal Solar still has a ways to go, but should not be counted out. The potential exists for challenges in the clean release of wafers from the substrate and reuse of the substrate. AstroWatt has only reported 14.9 percent cell efficiencies with advanced and expensive heterojunction cell processing. Kind of like Twin Creeks. Its metal-layer induced exfoliation approach creates thin, curled, freestanding wafers. Kind of like Ampulse. AmberWave, visible to many for the first time courtesy of a DOE SunShot award, is pursuing technology with similarities to the Solexel approach. The DOE award description mentions flexible steel carriers and UNSW-inspired advanced cell architectures. Recent patent applications are consistent with this description where silicon films are epitaxially grown on monocrystalline substrate wafers, and then a flexible carrier of steel or other materials is bonded to one or more wafers and the films are exfoliated from the substrate wafers. 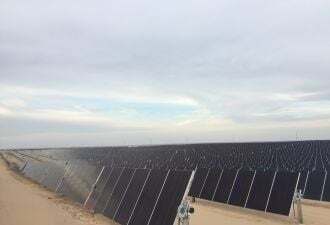 With SunPower and Hanwha having invested in epitaxial companies Solexel and Crystal Solar, it will be interesting to see if any strategic investments come to AmberWave. We have seen the low-cost, low-efficiency story before, and no longer believe it, particularly when expensive, advanced cell architectures are required to enable the approach. 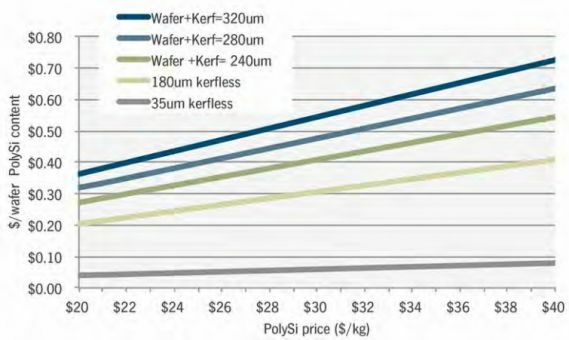 Kerfless wafering approaches still hold promise, but greater than 16 percent efficiencies are required with low-cost processing, and significantly higher values are required should expensive processing be employed. Solexel and 1366 are the only two firms that show distinct promise thus far. While the DOE’s significant investments in kerfless wafer technology have not yet panned out, even the failures have built up a deep experience and technology base in the U.S. Perhaps success is just around the corner for these two companies. Click here for more from GTM's report Innovations in Crystalline Silicon PV 2013: Markets, Strategies and Leaders in Nine Technology Areas. Please note that the author of this article is a former employee of 1366 Technologies.